In the fall of 2012, the members of Black Sun Ensemble reassembled after a 5 year hiatus with the intention of seeking a new direction. What would become the band’s swansong album, Behind Purple Clouds, was only half finished when guitar master Jesus Acedo passed away in March 2013, but with the help of additional musicians the remaining members forged ahead and completed the album which was released in late 2013. Cobracalia, named after a song from the 1985 debut Black Sun Ensemble album, consists of the musicians who completed the Behind Purple Clouds album. Utilizing guitar, bass, keyboards, violin, flute, saxophone, drums, and a variety of percussion including congas, oud, djembe, dumbek and zills, Cobracalia exude strong Middle Eastern influences but diverge from the Black Sun Ensemble mold. The compositions and arrangements are complex, yet quite accessible, often sounding like a spacey ethnic inspired Prog-Psych orchestra. 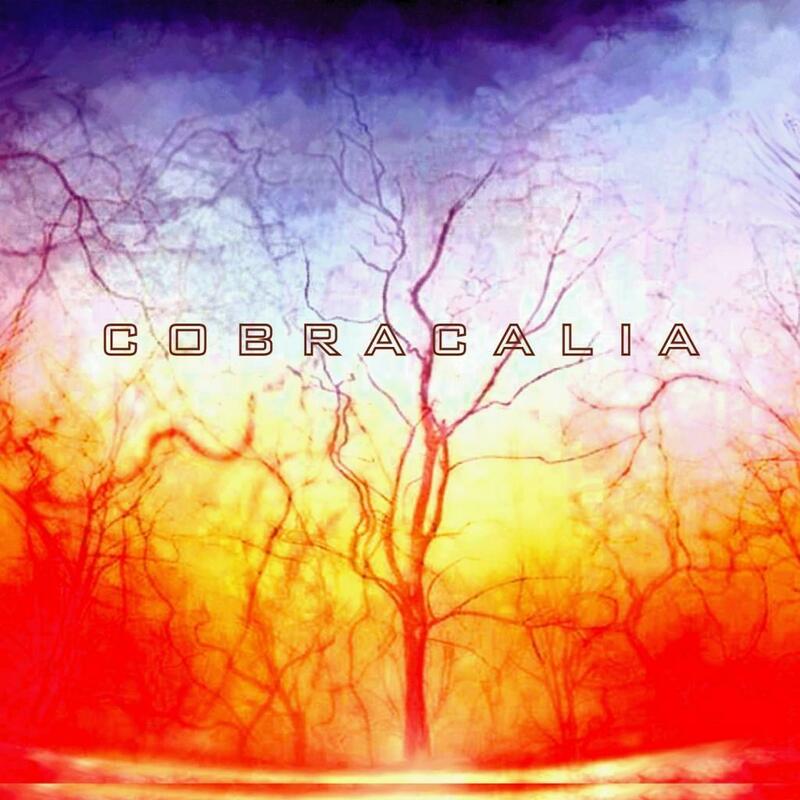 The melodies are simple yet seductively catchy, like a pied piper shaman, and this is one of Cobracalia’s strengths. The band excel at stirring their Middle Eastern inspired yet stylistically diverse pot. I like how the instrumental Dandyloin meanders between trippy and acid drenched realms, and includes cool Phantom of the Opera organ, plus great dual guitar action. Fistful Of Flowers is similar but more intensely rocking, with beautiful flute and violin solos which sound really cool against the galloping ethnic percussion, and this percussion style characterizes much of the album. Several of the songs are cinematic Prog-Psych rockers that transition through multiple instrumental and thematic themes in just a few short minutes, yet are so nimble in their execution that the accessibility of the music is never lost. Like the aptly titled Arabic Satori, which conjures up images of a tribal celebration in the desert, with swirling organ, classic Prog keys, and a seductively catchy melody. And Queen Of The Night, which whips itself into a frenzy that’s like a lysergic merging of Arabesque and Celtic elements. Egyptian Magician is similar but adds a healthy dose of Funk. Wrong Again is a short, funky rocker that’s one of the more rhythmically interesting songs of the set, striking an intriguing balance between being rhythmically off-kilter and maintaining a flowing groove. Total Internal Reflection is a little different, being a dreamy excursion with excellent efx’d guitar, and kind of reminds me of mid-80s Bill Nelson. Gas Giant has a similar dreamy quality and gets nicely spaced out at times. But it rocks too, having a combination of the Middle Eastern elements that characterized the previous songs, but also has guitar that brings to mind a morphing of George Harrison and Neil Young. Overall a beautiful blending of sweepingly melodic flow, orchestral Prog infused Hard Rock, and subtly incorporated sci-fi effects. If this is the enduing Black Sun Ensemble legacy, I like it and hope these musicians continue together.